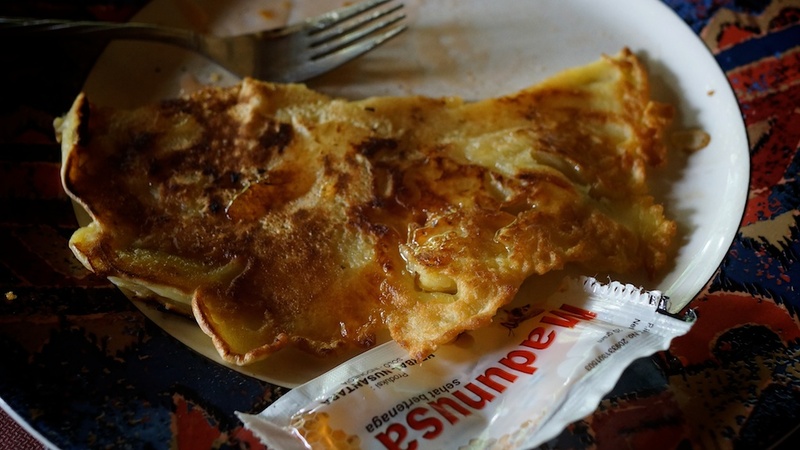 Aunt Ketut’s delicious Indonesian banana pancakes! Makes 3-4 gluten-free pancakes. These pancakes are thinner and less cakey than American pancakes. They can be served up like crepes, with whipped cream, fruit, chocolate sauce, maple syrup or honey. If bananas aren’t your favorite fruit, we recommend trying this recipe with sliced pineapple or mango. Share your favorite toppings and fruit in the comments! Crack egg into a bowl and beat until fluffy. Mix egg with flour and salt. Add water. Mixture should be thin. Heat a medium sized frying pan to medium/high heat and add 1 tsp of butter. Thinly spread the mixture so the bottom of the frying pan is covered. Let cook for a minute, then add sliced banana. Cook until golden brown, then flip. Cook until golden brown and flip once more, if needed. Serve with your favorite topping(s). 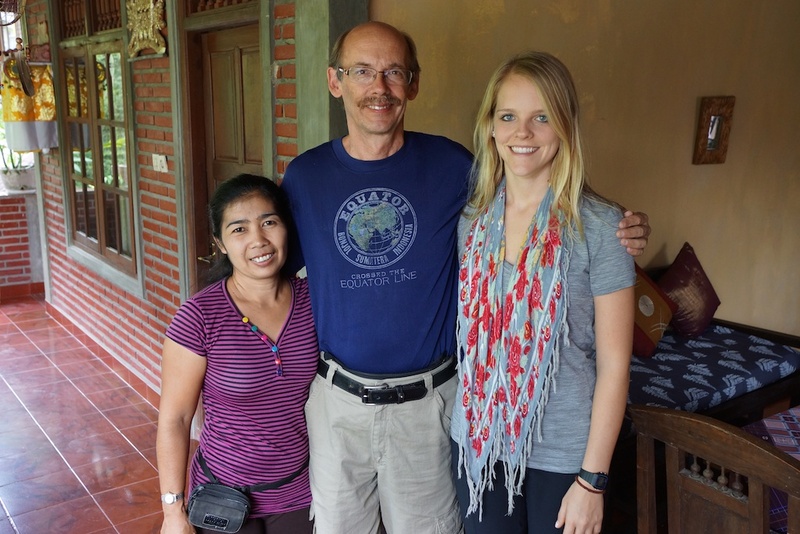 Aunt Ketut, Uncle John and Haley smiling and satisfied after eating a stack of these delicious pancakes. So excited to try these..it was one of my favourite foods in Bali now I can’t find anyone who does it with rice flour anymore. Did you missed something with the ingredients? 1/4 cup water with 2 cups riceflour??? ?